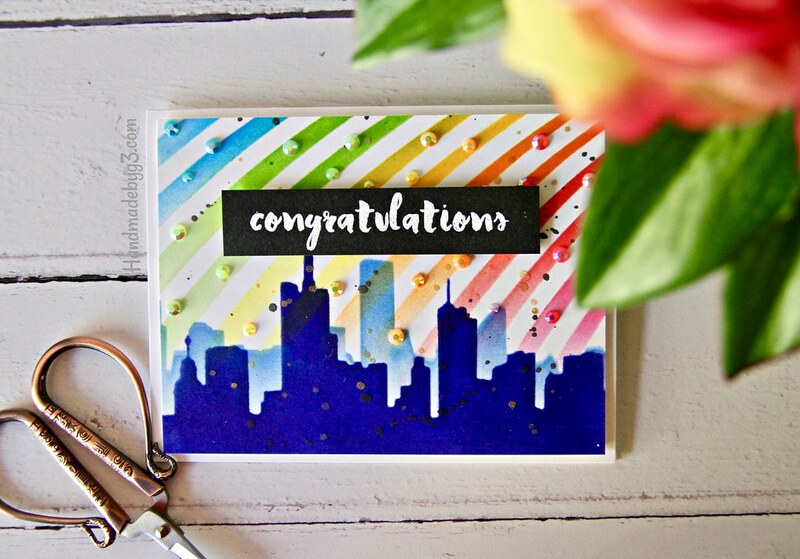 I have a quick post today sharing an Altenew card I made some time ago using the new release stencils. For the stencil release blog hop, I had made several projects. I shared couple on the blog hop and the rest I am sharing one a week. This is one of the projects. 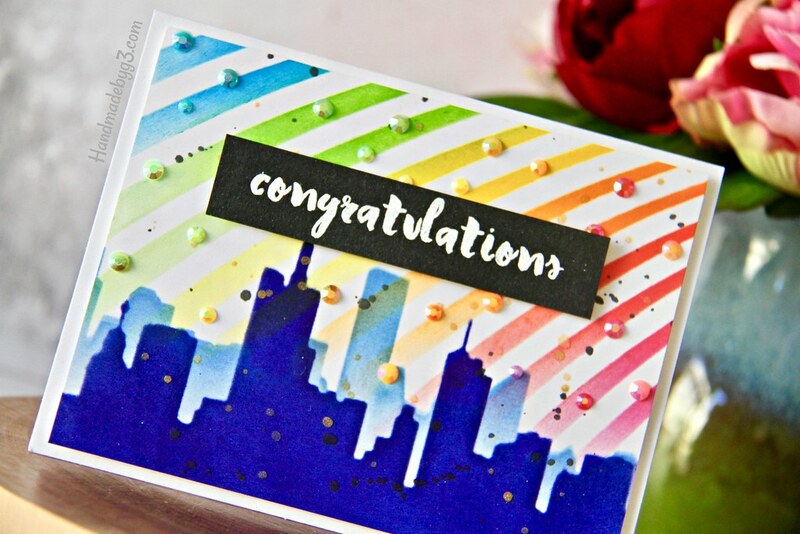 I used two of the new stencil to make this card – the Molded Lines stencil and the City Scene Stencil. 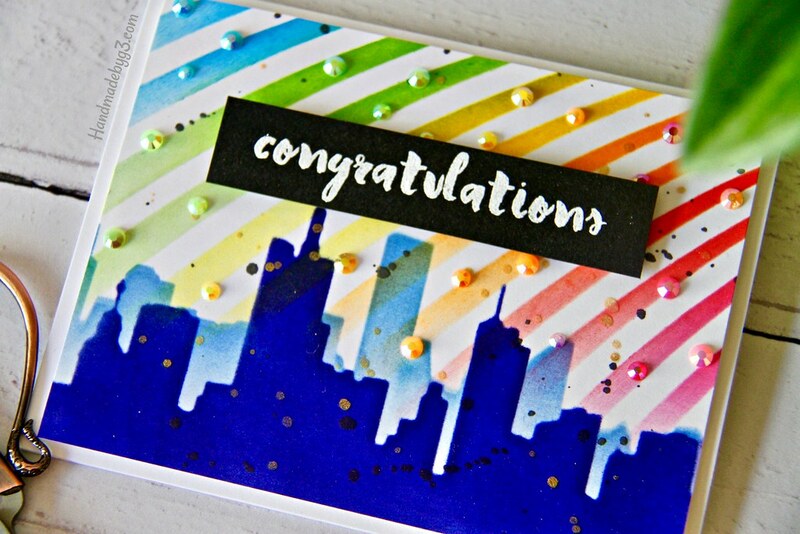 I sponged Altenew Sapphire and Persian Blue inks on the City Scene stencil to create the city scape. 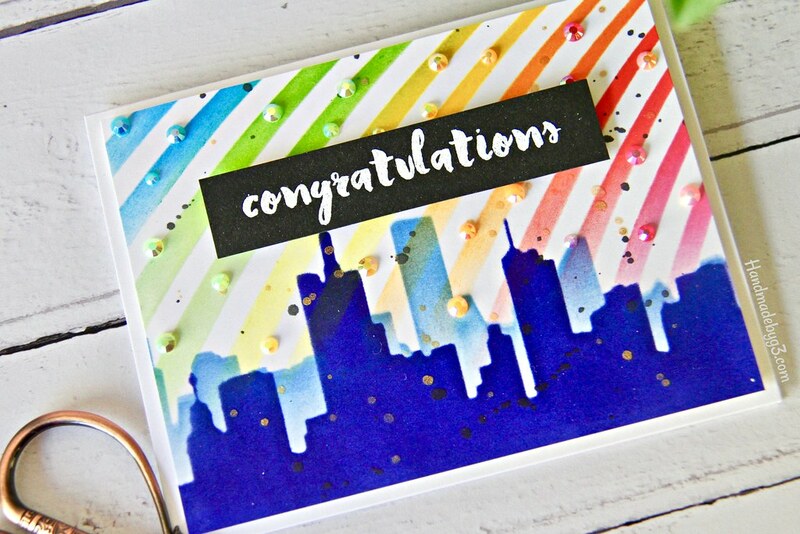 Then I used the Molded Lines stencil to add the rainbow. 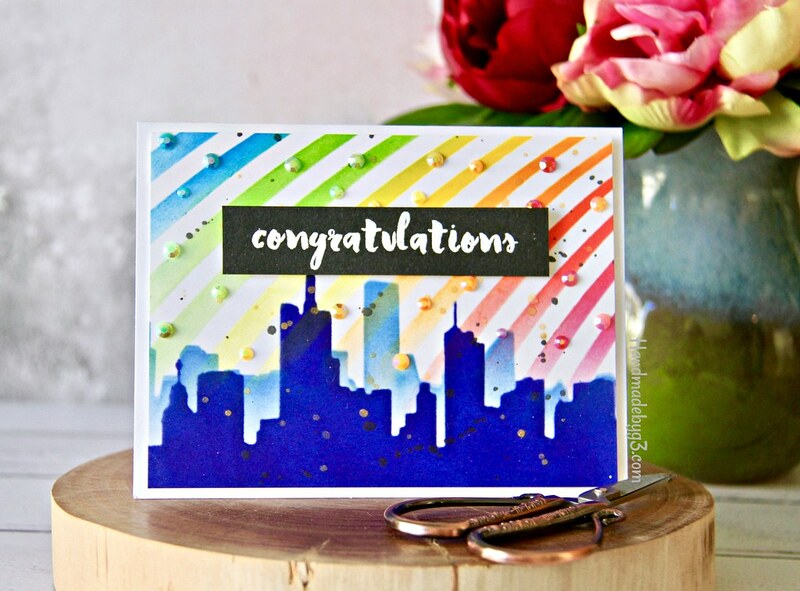 For the rainbow I used distress inks. I have been revisiting distress inks recently and loving the inks again.Anyway, I sponged the distress inks in am ombre. The colours I used are Candied Apple, Picked Raspberry, Carved Pumpkin, Mustard Seed, Mowed Lawn and Salty Ocean. Then I spattered some Altenew Gold Metallic and Jet Black spray to make it look a bit artsy. Then I trimmed the panel to 4’x5.25′ in size and mounted on a white card base using foam adhesive. 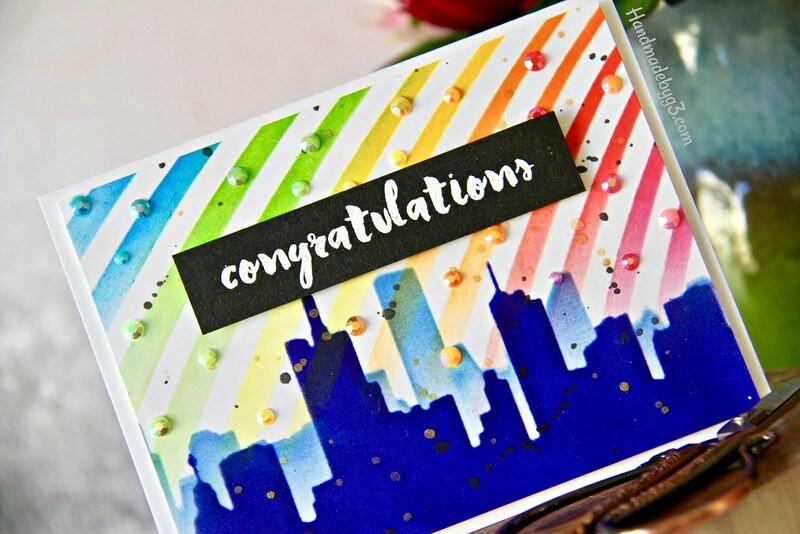 The sentiment is from Painted Greetings stamp set which I white heat embossed on a strip of black cardstock and adhered using foam adhesive. To finish off the card, I added Little Things by Lucy Rainbow Sparkle mix. These jewels add the bling and celebratory feel to the congratulations sentiment. Thank you so much for visiting my blog today. Have a wonderful day!